Alongside with amazing action-adventure projects with the open world, Ubisoft is known because of beautiful games with fairy-tale plot. One such title - Child of Light game - will be released already this spring, and yesterday it got the first big trailer and lots of details. Ubisoft announced Child of Light game last year, but only yesterday its first trailer was revealed. This project tells us a wonderful story about a young girl with the colorful hair. Aurora - the game's protagonist - was kidnapped from her home and found herself in a mythical world. Here she will have to fight against Queen of the Night, who has seized the stars, the moon and the sun from the sky. During this dangerous mission, she will have to finish lots of quests and face her most frightening fears. 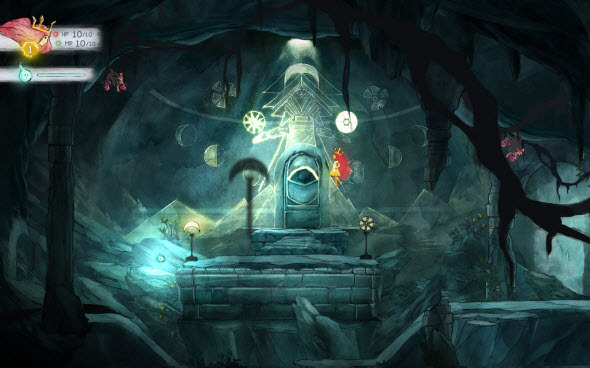 Child of Light game will be released for Xbox 360, Xbox One, PS3, PS4, PC and Wii U in spring - on the 30th of April.